Thanks to the generous support of the Lord Leonard and Lady Estelle Wolfson Foundation, the Natural History Museum launched Dawnosaurs in 2016. 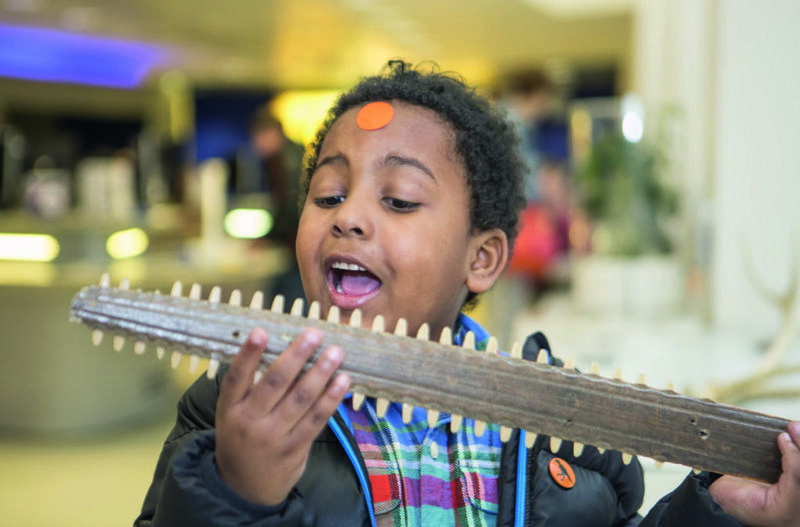 Dawnosaurs sessions are held throughout the year on Saturday mornings, with the Museum opening early to enable children with Autism Spectrum Disorder and their families and carers to experience the Museum before it opens to the general public. Dawnosaurs transforms a stressful visit to the often-busy Natural History Museum into an enriching learning experience for all the family.